Although the issue of Accountability is often seen within the purview of policymakers, it has become more and more apparent that one of the key consumers of the information gathered and shared are parents. The role of parents in schools has gone beyond the bake sale and book fair committee sign-ups. 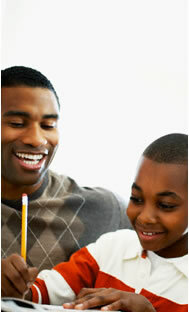 Parents need to be well informed about the options they have for selecting educational services their children. Issues about what content is being instructed to how the content is being taught have become top concerns for many parents. Parents need to have a place that will provide reasonable advice about what is likely to work or not work in educating their child. Education doesn't have to been fuzzy and vague to be compassionate and caring. Unfortunately, many educators lack important tools in order to communicate effectively about student achievement in academic and social skill areas. This missing element is the full understanding of how to assess student success. Federal, state and district level accountability mandates have created pressure for performance; educators are being asked to change their practices. Change can be difficult. At the same time, it is important to note the differences between the challenges of "changing" and when there are real problems with what educators are being asked to do. AW is here to help Parents decipher the differences between statements such as, "all of these tests are taking so much time, that we don't get to have art anymore" from the often underlying problem of time management. Or from "we don't have money for science lab kits" to looking for savings in energy costs (e.g., turn off the lights) so that schools could easily afford books and materials for all children. AW believes that parent and children are the clients of the school; their opinions, ideas, and knowledge should be gathered and learned from---not feared or viewed as requiring "high maintenance." AW is developing several web-based products for parents to use to assess their children's arithmetic, reading and social skills. The first of these products will be available in December 2010. Click on Arithmetic Testing Online for more information. And click on "Please send me updates about resources for Parents" if you would like to be put on a mailing list to receive updates regarding our other products and services.